Nvidia’s GeForce Now stole the show at CES 2017 in January, teasing a future where games stream to any PC as easily as Netflix shows beam to television sets. I played Witcher 3 on a Mac! Since then, however, Nvidia’s fallen silent about the service, as March came and went without a promised early access opening—or explanation. 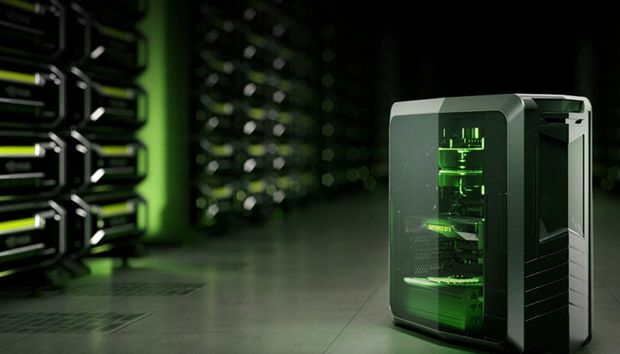 But the company’s recent quarterly earnings call revealed more about GeForce Now’s future. “We’ve been running internal beta for some time, and we’ll shortly go to external beta,” Nvidia CEO Jen-Hsun Huang said in response to a query about GeForce Now, as transcribed by Seeking Alpha. But he quickly pumped on the brakes after that, tempering expectations for the newfound cloud gaming service. It’s important to remember that Huang was addressing investors, rather than talking about GeForce Now’s technical aspects and capabilities. “Scale” means very different things in those two circles. But coming on the heels of the early access delay, it sounds like the service may be running into some bumps. The story behind the story: Streaming full-blown games from the cloud is a wonderful dream, but here in reality, there are still some hefty technical issues to hurdle. PC gamers tend to be sticklers for frame rates and visual fidelity, and any delay in response could spell disaster in games designed around faster keyboard and mouse controls. That’s a lot to ask of a virtual PC, but the real killer in previous game-streaming attempts have been network lag and latency. I’ve been playing around with LiquidSky, a GeForce Now rival that recently launched in beta, and latency’s made it rough going at times with my home Internet connection, despite exceeding the service’s requirements. Those issues have plagued OnLive, Gakai, and online-only gaming services for years, and they won’t disappear overnight. Nvidia’s smart to plan on a slow ramp-up for GeForce Now—though it would’ve been nice if Huang had tempered expectations when he revealed the service at CES. I’m looking forward to seeing how GeForce Now handles whenever the early access opens.